Luxury. Layers. Absolutely lovely. 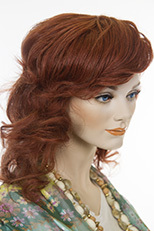 This SmartLace wig, made from heat-stylable, top-quality remy human hair, gives you control and natural WOW with lace-front, monofilament construction. Beauty in strength defines this long layered style, made with 100% Remy human hair. Enhanced by a natural looking lace front, the non-slip hand tied cap offers supreme scalp comfort. Designed to add gorgeous volume at the crown, this 100% remy human hair topper integrates with your own hair for a supremely natural look — it can even be styled with heat! Designed to add gorgeous volume at the crown, this 100% human hair topper integrates with your own hair for a supremely natural look — it can even be styled with heat! 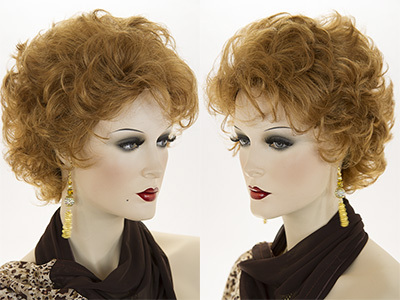 This Remy human hair topper clips in easily behind the hairline while adding gorgeous all-over volume at the crown. 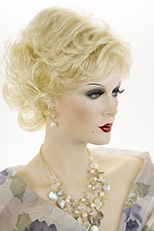 Each hair is hand tied to a Swiss lace using French knotting, a luxury invisible knotting technique that results in a superior natural appearance. With length falling below the chin and a larger base, this French top hair topper provides thorough coverage for the mid/progressive stage of hair loss. 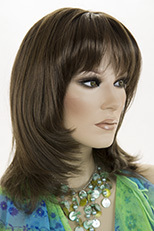 Top Form French is available in 12 and 18 inches hair lengths. This Remy human hair topper clips in easily behind the hairline and provides thorough coverage for the mid/proggresive stage of hair loss. Each hair is hand tied to an undetectable Swiss lace base and protected by a glass silk layer on top and at the bottom to provide a superior natural appearance and comfort to the wearer. Top Form French is also available in 12 inches of length. Short, chick pixie style! 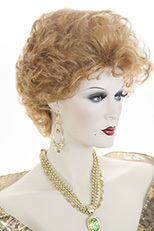 Premium quality human hair wig with slightly gelled look. Tapers at the nape. See item details for available colors. Dramatic and feminine! 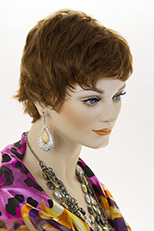 Striking, long, straight premium quality human hair wig! The hair length falls to 32 inches. Featuring a natural looking mono top. You can part the front in various directions. See item detail for available colors.